Photo: Eni Lestari, Chairperson of the International Migrants Alliance (IMA), speaks on the challenges and strengths of Global Compact on Migration at the 2018 CWWM Consultation (Marrakesh). On the 10th and 11th of December 2018, the UN is expected to formally adopt the “Global Compact for Safe, Orderly and Regular Migration (GCM)” in Morocco. In the context of the GCM, the Churches Witnessing with Migrants (CWWM) network is currently gathered in Marrakesh, Morocco for 3 days of strategizing, information sharing, and advocacy. CWWM is an international platform for advocacy and forthright action focused on global migration, particularly forced migration in all its forms. The CWWM Morocco Consultation meeting aims to not only register the presence and position of CWWM during the adoption of the GCM, as well as the Global Forum on Migration and Development (GFMD) also being held in Morocco, but it will also serve as a CWWM meeting for strategic planning for continuing work. The GCM will be the first global framework to comprehensively address issues related to the hundreds of millions of people in the world who change their country of usual residence (with the exception of refugees). To learn more about the strengths and weaknesses of the agreement from the perspectives of the migrants, please see “The Global Compact on Migration (GCM) & the Challenges to the Migrant’s Movement” by Aaron Ceradoy, Coordinator of the Development and Forced Migration, for the Asia Pacific Mission for Migrants. 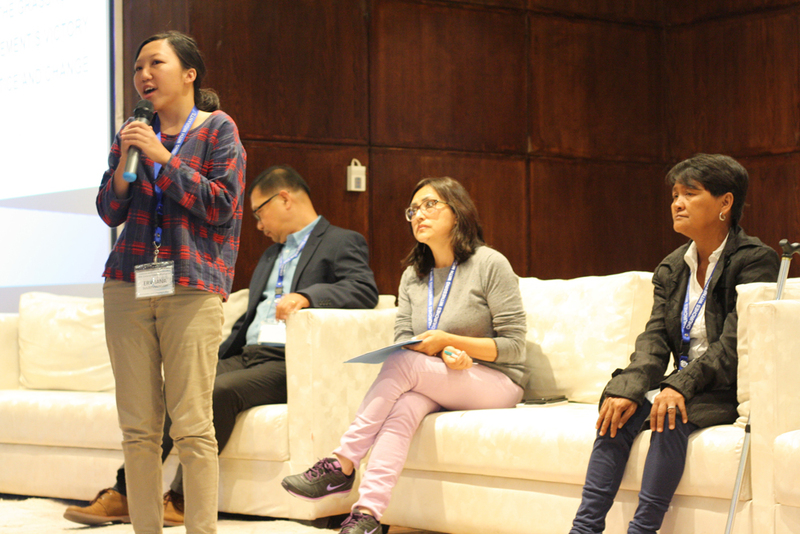 Photo: Erwiana Sulistyaningish (Indonesia) tells her story of forced migration and modern enslavement in Hong Kong, and how she now mobilizes for the rights and dignity of migrants. Core on the agenda of the CWWM consultation in Morocco is hearing stories of the migrants themselves, with a focus on the experiences and demands of those forced to move. 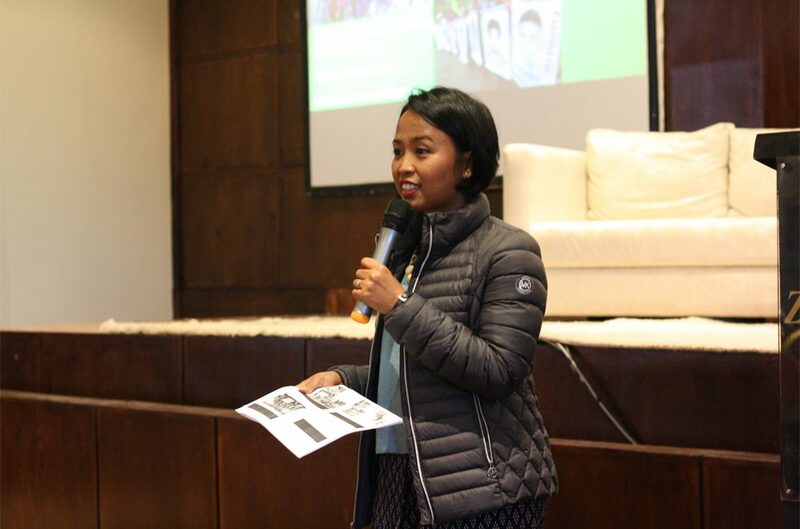 This includes the story of Erwiana Sulistyaningish – a migrant woman from Indonesia who escaped modern slavery and abuse during her time in Hong Kong, and now leads the rights group Kabar Bumi in Indonesia. It also included the story of Celia Veloso, the mother of a Filipina migrant worker (Mary Jane Veloso) who is now on death row in Indonesia. It also included the story of Samson Eze, a young migrant man from Nigeria who journeyed eight years across six African countries to escape violence and poverty in search for a better life one day in Europe. 1.) Human dignity and all human rights for all migrants, refugees, and uprooted peoples. All human beings have inherent human dignity and protected human rights. And thus, all human rights are migrant, refugee, and uprooted peoples’ rights. The fulfillment of these obligations must be open and inclusive, transparent and accountable. 2.) Forced migration is about real human beings. Forced migration is a human tragedy affecting real human beings, with real emotions and human relationships with friends, families and communities. 4.) Forced and enforced migration is entangled in historic injustices. Forced and enforced migration have deep historic roots and entanglements in slavery and colonialism, and in racism and genocide. The historic injustices that arose from these entanglements saddle the complicated nature of forced and enforced migration today. 5.) Forced migration required a just, durable and sustainable solution. A just, durable and sustainable development that will truly eliminate forced migration must focus on freeing peoples from poverty and hunger and protecting the planet. It must also address the uneven economic development and structural inequalities within and among countries, including the plunder and exploitation of natural and human resources, and attendant practices and policies of extractivism and development aggression. 6.) Nothing about migrants without migrants in any venue and level of negotiations. Migrants, refugees and uprooted peoples must be involved in great numbers and in all venues and platforms throughout the full timeline of the negotiations of the GCM and the Global Compact on Refugees. No negotiation must proceed and conclude without the robust participation and engagement, including the democratic access—physical and political—by all stakeholders. The CWWM emphasizes that the key issue ahead will be a human rights-based and people-centered approach to migration. Inherent human dignity and protected human rights form the basis for how every person must be treated in any context (country of origin, transit, or destination). Migrants and refugees are humans first, before anything else. And thus, migrants cannot be reduced to documents, statistics, or goods and services.